Senior Deputy Solicitor General Haripriya Jayasundara today told court that the Central Bank's former governor Arjuna Mahendran, who is the first suspect in the magisterial inquiry into the bond scam had recently requested the CID to forward some of the documents on the investigation through Interpol. This was revealed when Colombo Fort Magistrate Lanka Jayaratne asked the prosecution what had happened with regard to the warrant issued on the first suspect. SDSG Jayasundara initially said the prosecution had obtained a red notice against the suspect and was working on certain arrangements on this matter. On being asked by the magistrate for a report on that matter without delay, the prosecution said it would make the necessary submission no sooner the process was finalised. It said the suspect had requested for copies of the warrant and evidence against him from the CID via the Singapore Interpol. SDSG Jayasundara informed court that the Attorney General would look into the request and decide whether it was a legitimate demand. When questioned by the magistrate about the whereabouts of the first suspect, SDSG Jayasundara confirmed that Arjuna Mahendran was residing in Singapore. Meanwhile, Perpetual Treasuries Limited owner Arjun Aloysius and CEO Kasun Palisena were re-remanded till August 30 on charges of aiding, abetting and conspiring with Mr. Mahendran to misappropriate Rs.688 million in public funds at the bond auction held on February 27, 2015. They were also re-remanded till August 30 in connection with the parallel magisterial inquiry on deleting phone call data from the PTL voice recording system and fabricating evidence to the Bond Commission. ECONOMYNEXT – Former Chief Justice Sarath Silva may have openly violated constitution by presenting himself as legal counsel for ex-president Mahinda Rajapaksa who was questioned by police in connection with the abduction of journalist Keith Noyahr. Official sources noted that the police Criminal Investigation Department (CID informed the Mount Lavinia Magistrate that Silva was present as part of the legal team of Rajapaksa when he was questioned at his Wijerama Mawatha home on August 17. Article 110 (3) expressly prohibits retired judges of the Supreme Court and the Court of Appeal from engaging in any form of legal practice. Silva is said to be in breach of this provision when he was present and interjected during Rajapaksa’s questioning. “No person who has held office as a permanent Judge of the Supreme Court or of the Court of Appeal may appear, plead, act or practise in any court, tribunal or institution as an Attorney-at-law at any time without the written consent of the President,” the constitutional provision says. The Sinhala text of the provision says a retired judge from the superior courts cannot practice as a lawyer in court or for any organization or engage in the profession. The CID was recording a statement from the former president as part of an ongoing case before the Mount Lavinia magistrate’s court. There is no punitive action specified in the constitution, but it leaves the door open for a petition to the Chief Justice to decide on a course of action. The constitutional provision is considered by retired superior court judges to mean that they shall not engage in any form of private practice. Police said they were confident that Silva, the controversial ex-chief justice who retired in 2009, had not obtained written consent from President Maithripala Sirisena to practice law. Agree Ryan. All what you have written is like pouring water on Buffaloes! They are thick skinned. You can't change the world but you can change your self so take off the colourful politics glasses and see the truth. You and me ain't in the big club where M3/Ranil and MR and his friends owned. The sad plight of the economy and never ending slide of the sri Lankan rupee, spiraling cost of living etc are the result of the meticulously planned and executed bond scam, the biggest fraud in the history of Sri Lanka which deserves capital punishment for those involved. AFP - Former Sri Lankan president Mahinda Rajapakse's chief of staff was indicted Friday for embezzling millions of dollars from a state insurance firm. A new court set up to investigate major corruption began its work by hearing the case against Rajapakse's top aide Gamini Senarath and three others accused of siphoning off 500 million rupees ($3 million). The four took the money during the construction of a hotel in the capital Colombo that was meant to be managed by the Hyatt group, prosecutors said. Sri Lanka's government announced in May the creation of a special court to accelerate high-profile cases, following criticism of the slow pace of justice since President Maithripala Sirisena came to power in 2015. He had pledged to punish members of the former administration accused of stealing vast sums during Rajapakse's decade-long rule. Stringent security was in force on Friday at the court, which released all four men on bail of 1.1 million rupees each. The judges also allowed a defence plea for more time to study the indictments and fixed the next hearing for September 19. Rajapakse's top civil servant, Lalith Weeratunga, has already been convicted of misappropriating $4 million and sentenced to three years in prison. Two of the former president's three sons have also been charged with money-laundering and other relatives face corruption allegations. Rajapakse was questioned by police last week in connection with the abduction and torture of a journalist in 2008. World Socialist Web Site: A scandal over the manipulation of shares on the Colombo Stock Exchange has erupted in recent weeks, after former Sri Lankan Securities Exchange Commission (SEC) Chairman Thilak Karunaratne accused Government ministers of acting in league with speculators. Karunaratne was pressured by President Mahinda Rajapaksa to quit his position, just nine months after his appointment. The apparent reason for his ouster was that the SEC had commenced investigations into 17 companies accused of abusing the share market. 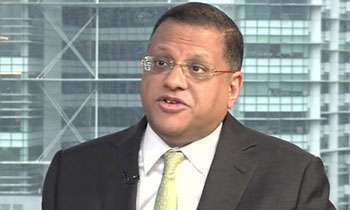 After his resignation, Karunaratne told the media of “daylight robbery” by a “stock market mafia” closely connected to Government leaders, including Rajapaksa. Karunaratne is a politician as well as a businessman. He was a founding leader of the Sinhala chauvinist Jathika Hela Urumaya (JHU), then joined the right-wing United National Party (UNP). Just before the presidential election in January 2010, he switched to Rajapaksa’s Sri Lanka Freedom Party (SLFP). The SEC is the “regulating authority” appointed by the president to oversee the Colombo stock market. Rajapaksa has used his powers to install chairpersons loyal to the Government. Karunaratne’s predecessor Indrani Sugathadasa, who resigned in similar circumstances, is the wife of the President’s Secretary, Lalith Weeratunga. The latest scandal has provided a glimpse into the operations of a parasitic layer of financial speculators who have been nurtured by the Rajapaksa Government since the end of the country’s longstanding civil war. After the defeat of the Liberation Tigers of Tamil Eelam (LTTE) in May 2009, the Colombo all share price index soared — from 1,631 points in 2008 to 7,800 points in February 2011. Rajapaksa pointed to the rocketing share prices as proof of his Government’s economic success. The financial press hailed “one of the best performing share markets in the world,” but the “success,” amid the global financial crisis, was built on rampant speculation. In early 2011, the bubble burst and the index is currently hovering around 5,000 points. Foreign investors have been withdrawing funds and Colombo is rated as one of the world’s “worst performing” markets. Karunaratne admitted that speculation had been a major factor in the share price rises. “The major contribution came from people who used unfair means in pumping up the market, which made it reach extreme high levels,” he told the media. The former SEC Chairman has not named the 17 companies that he placed under investigation. But he hinted at their identities by citing cases where prices had dramatically risen between the end of 2009 and end of 2010. Over that year, the share prices of Dankotuwa Porcelain, Blue Diamonds, Asian Alliance Insurance, Lanka Hospitals and HVA Foods stock increased by 226, 270, 177, 204 and 394 per cent respectively. In a scheme known as “pumping and dumping,” major dealers encouraged investors to put money into particular shares, promising huge returns. When the share price reached a certain level, the dealers sold out, making staggering profits, and prices fell sharply. Small share holders, who had in many cases invested their savings and pensions, were hit with heavy losses. The Central Bank encouraged this speculative frenzy by releasing money from the Employees Provident Fund (EPF), the country’s biggest pension fund, to purchase shares, including in ailing companies such as Galadari Hotels, Laugfs Gas, Piramal Glass Ceylon, Ceylon Grain Elevators and Browns. The release of EPF cash for private sector investment was a longstanding demand of the International Monetary Fund (IMF). The results have been disastrous. For example, the EPF purchased 23.7 million shares in the loss-making Galadari Hotels at a price of 32.50 rupees a share in 2010 from Nawaloka Hospitals. By July 2012, the share price had plummeted to 11 rupees, resulting in a loss of 500 million rupees for the EPF. Overall, the EPF had lost about 6 billion rupees by the middle of this year. The newly-appointed SEC Chairman, Nalaka Godahewa, is well connected to the Government as well. He was given the job despite heading the Colombo Lands and Development (CLD), which is also under a cloud for share manipulation. The CLD had been a prominent Colombo real estate developer but was restructured into a joint venture with the Urban Development Authority (UDA). In 2010, the Government put the UDA, a civilian body, under the Defence Ministry, which is headed by Gotabaya Rajapakse, the President’s brother. The UDA is central to the Government plans to develop Colombo as a major “commercial hub,” primarily through the eviction of some 70,000 shanty dwellers. The security forces have already forcibly removed hundreds of families. One of those recently identified by the media as a member of the “stock market mafia” also has government connections. Dilith Jayaweera, head of Divasa Equity, recently admitted meeting with Gotabaya Rajapaksa to discuss share market affairs. Gotabaya Rajapaksa arranged for Jayaweera, who was known for demanding a free hand for share dealers, to meet with SEC Chairman Karunaratne. The eruption of the share market scandal points to deep dissatisfaction among layers of the corporate elite with the Rajapaksa Government and its business cronies. The Ceylon Chamber of Commerce has expressed concern over Karunaratne’s resignation, warning that it would send the wrong signal to foreign investors. These divisions in ruling circles have opened up amid the worsening global economic breakdown, which is impacting heavily on the Sri Lankan economy through declining exports and an emerging balance of payments crisis. The scandal has revealed a parasitic layer of speculators and share price manipulators operating in collaboration with the government, which will inevitably attempt to pass the burden of the losses onto the working people.